Artwork by Andy Ristaino, Santino Lascano, and Martin Ansolabehere. 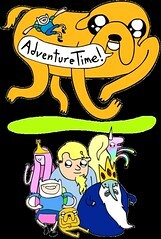 “The Limit” debuts Monday at 8:00 p.m. on Cartoon Network. “The Limit” premieres Monday night. 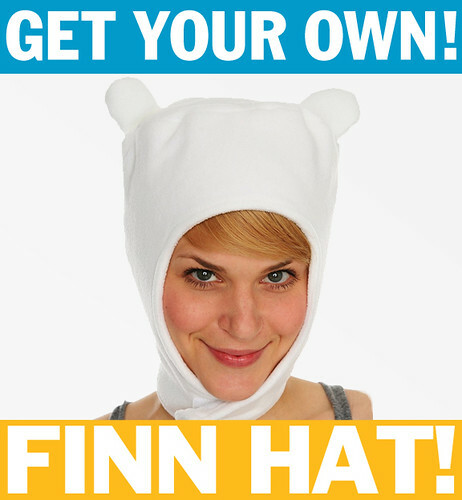 Of course, that’s Jeremy Shada as Finn and John Di Maggio as Jake. 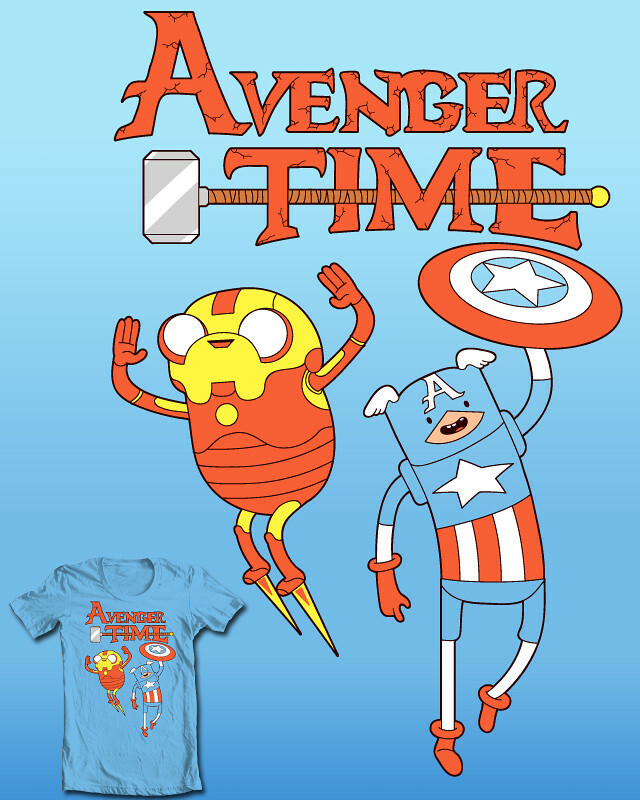 Ste7en’s submission for a Threadless T-shirt. Vote here. Yeah, well, you know the drill. Not all of the below will be the right names; a couple of these titles are destined to change. Look for season three to explode from your TV in the early summer. 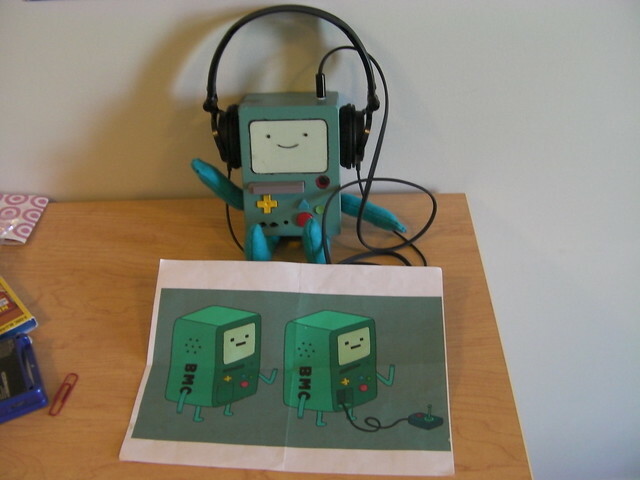 “I am a long time fan and viewer of your website, first time writer to it, and I just wanted to say first off how amazingly awesome I think your studio is, especially Adventure Time. 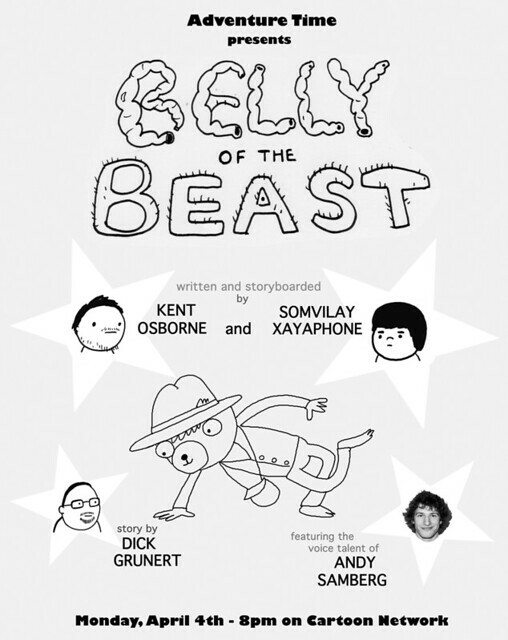 Kent Osborne’s promo art for “Belly of the Beast,” storyboarded by him and Somvilay Xayaphone. It premieres Monday night. The title card was designed by Andy Ristaino and painted by Nick Jennings. “Belly of the Beast” premieres on Cartoon Network Monday, April 4, 2011. The lead designer on “Go with Me” was Phil Rynda. Natasha Allegri and Andy Ristaino were designers. The character clean-up artist was Alex Campos. Ron Russell and Simon Simmonds were the color stylists. Nick Jennings is the show’s art director. The episode’s creative directors were Pat McHale and Cole Sanchez.